Learn why building your credit and driving history is important in the USA. As an expatriate relocating into the United States, you may not have official identification requirements like a social security number and a driver’s license. Without those essentials it is almost impossible to establish credit for financing assistance or get insured as a driver of a vehicle. Each country uses a different system for credit scoring, and credit does not transfer from country to country. Your credit score is what determines your creditworthiness to lenders. Upon arrival in a new country, you start out with a score of 0. Not having credit can make it hard to make much-needed purchases in your new country. 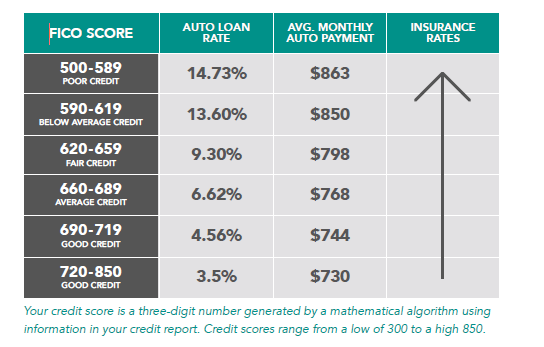 The chart below illustrates one example of how your credit score can effect an auto loan payment. Your credit score is based on several factors. Important transactions involve credit checks. Lenders require credit checks to obtain housing, car loans, home and auto insurance, and mobile phones. It is essential to understand what improves your overall credit score and to start building your score to give you better terms of those transactions. 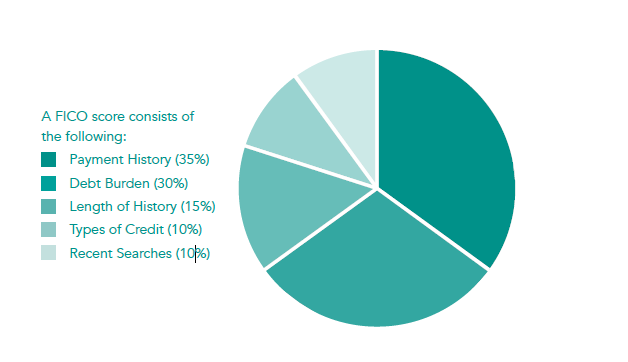 In the United States FICO® is the most common model for credit scoring. The meaning behind “FICO” itself is not all that obvious. FICO simply stands for Fair Isaac & Company, the company who developed the standard. In almost all U.S. states, auto insurance is mandatory by law, and is a requirement of your financial institution if you have a loan or a lease on your new or used vehicle. Auto insurance covers the cost of damage or injuries caused by your vehicle in the event of an accident. Keep in mind that your policy covers you and usually anyone else you give permission to drive the car. The minimum car insurance requirements and coverage levels vary by U.S. state. Auto insurance policies cover a wide range of protection required by U.S. State law and or the lender of your financing program. Liability insurance pays for damage and injuries you cause others in accidents. Uninsured or underinsured motorist coverage pays your medical expenses if you’re injured in an accident caused by a driver who is uninsured. Collision and comprehensive insurance pays to fix your car or reimburse you for its current value if it’s damaged beyond repair. It’s sometimes challenging to get auto insurance coverage not to mention competitive rates. Usually low insurance rates are available for those with good driving records, but expats without a U.S. driving record start with a disadvantage. However as an expat, IAS can help you immediately start building your credit rating and safe driving record when relocating to the USA. Our exclusive vehicle financing and leasing programs view you as a privileged customer starting with a high credit rating and safe driving record allowing you to get the car you want so you can begin building your U.S. credit history and driving record. 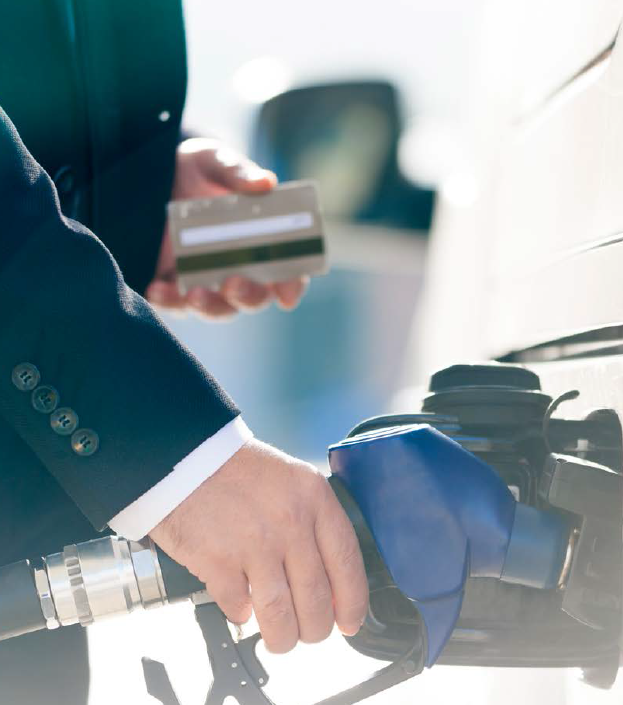 Download our guide for more information about U.S. Credit & Driving History.